Sustainability, integrated water resources management, climate change, groundwater governance. These are some of the currently trending topics in hydrogeology, as reflected by their widespread use as keywords in recently published literature. Indeed, hydrogeologists are at the forefront of guaranteeing the long-term sustainability of aquifers worldwide. But how can they assure that the outcomes of their investigations are really translated into effective science-based management practices? How can they make sure that their work really reaches water end-users and all those eventually affected by new water quality and quantity control measures? Possibly the most effective way is to commit themselves to bridging gaps between science and society. This is the aim of “socio-hydrogeology”, a new approach to groundwater investigations promoting the incorporation of the social dimension into hydrogeological studies willing to provide management practices with better support (Re, 2015). Socio-hydrogeology proposes the coupling of robust hydrogeological investigations with a more comprehensive assessment of the socio-economic implications of the (ground)water problems in question. In agreement with the general definition of socio-hydrology—the science of people and water (Sivapalan et al. 2011)—socio-hydrogeology aims not only at studying the mutual relations between people and groundwater (i.e. the impact of human activities on the baseline characteristics of an aquifer and the impact of groundwater—its quality, its presence and scarcity—on human well-being and life), but more generally to include social dimensions in hydrogeological investigations. This means ensuring that the results of scientific investigations are not only based on real needs and local knowledge, but are also adequately disseminated to groundwater users . Hydrogeologists can be leaders in socio-hydrogeology. They can advocate for groundwater management and protection. They can promote bottom-up approaches that embed local know-how into management strategies. As many hydrogeologists spend substantial time in the field, they are generally the first point of contact for well holders, farmers and other groundwater users. They may therefore act as mediators between theory and practice, or between the problem and the (potential) proposed solution to issues of sustainability and pollution. This is why allocating specific time to structured interaction with the relevant stakeholders and water users prior to and during hydrogeological investigations, they can maximize the use of hydrogeological information and outcomes, which are obtained, in the best cases, with the best available technology and tools. 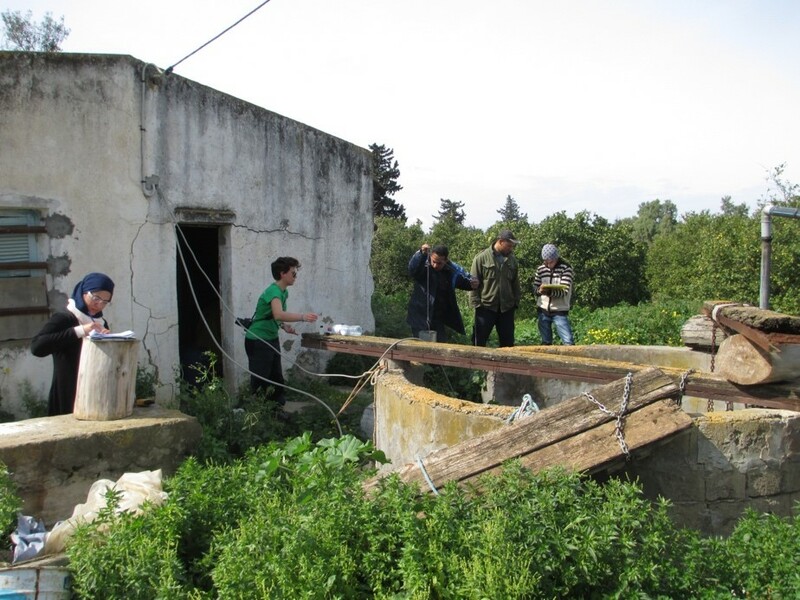 This newly established field allows hydrogeologists to focus on mutual relations between groundwater and society and to foster both ‘horizontal’ (e.g. between state and non-state actors or across sectors such as agriculture or energy) and ‘vertical’ (between various levels) cooperation. This novel approach presents a standardized baseline method focused around hydrogeologists, which is easy to understand, flexible, not too time-consuming, and offers the chance to implement preliminary public engagement with limited effort. 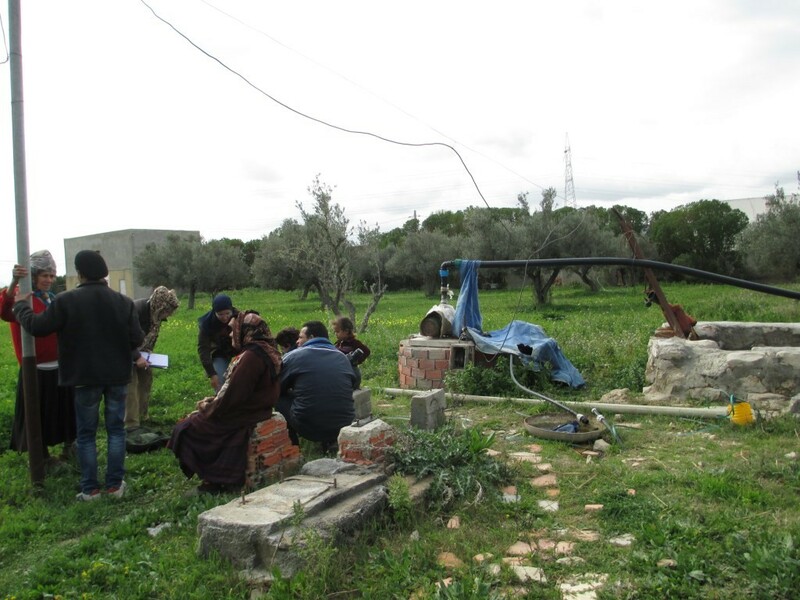 Discussions about water issues with farmers near Grombalia, Tunisia (Viviana Re, 2014). 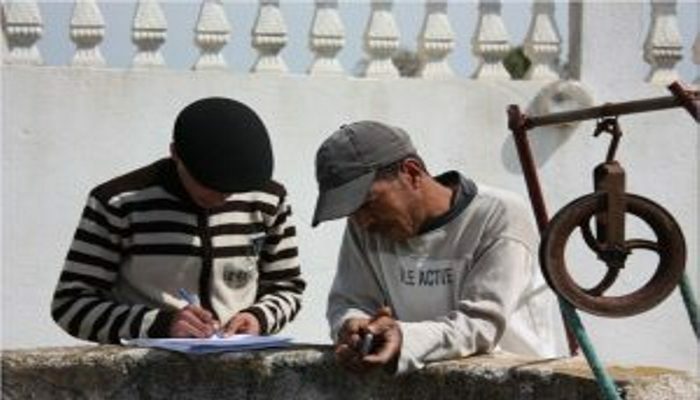 In this framework, the Bir Al-Nas (Bottom-up IntegRated Approach for sustainabLe grouNdwater mAnagement in rural areaS*) approach is proposed as an initial attempt to put the concept of socio-hydrogeology into practice through hydrogeological and social analysis, the latter performed by means of a social network analysis and structured interviews with the people involved in the groundwater monitoring network. Bir Al-Nas is currently being tested and implemented in the Grombalia Basin (Tunisia), chosen as representative of the issues shared by most of the coastal aquifers in arid/semi-arid regions (i.e., aquifer pollution and salinization, water overexploitation, saline-water intrusion, and agricultural return flow). *Research supported by a Marie Curie International Outgoing Fellowship within the EU 7th Framework Programme for Research and Technological Development (FP7-PEOPLE-2012-IOF, project reference 327287).